In this video, Dr. Peter J. Williams explores new evidence that the gospels are based on eyewitness accounts. Click here to read this brief article by Oxford Professor and Christian Apologist John Lennox. In this featured article, speaker and author Greg Koukl addresses what he calls "one of the most compelling arguments ever offered in favor of abortion on demand." It is the "violinist argument" put forth by Judith Jarvis Thompson. "I propose, then, that we grant that the fetus is a person from the moment of conception. How does the argument go from here? Something like this, I take it. Every person has a right to life. So the fetus has a right to life. No doubt the mother has a right to decide what shall happen in and to her body; everyone would grant that. But surely a person's right to life is stronger and more stringent than the mother's right to decide what happens in and to her body, and so outweighs it. So the fetus may not be killed; an abortion may not be performed. It sounds plausible. But now let me ask you to imagine this. You wake up in the morning and find yourself back to back in bed with an unconscious violinist. A famous unconscious violinist. He has been found to have a fatal kidney ailment, and the Society of Music Lovers has canvassed all the available medical records and found that you alone have the right blood type to help. They have therefore kidnapped you, and last night the violinist's circulatory system was plugged into yours, so that your kidneys can be used to extract poisons from his blood as well as your own. The director of the hospital now tells you, "Look, we're sorry the Society of Music Lovers did this to you—we would never have permitted it if we had known. But still, they did it, and the violinist now is plugged into you. To unplug you would be to kill him. But never mind, it's only for nine months. By then he will have recovered from his ailment, and can safely be unplugged from you. Is it morally incumbent on you to accede to this situation? No doubt it would be very nice of you if you did, a great kindness. But do you have to accede to it? What if it were not nine months, but nine years? Or longer still? What if the director of the hospital says, "Tough luck, I agree, but you've now got to stay in bed, with the violinist plugged into you, for the rest of your life. Because remember this. All persons have a right to life, and violinists are persons. Granted you have a right to decide what happens in and to your body, but a person's right to life outweighs your right to decide what happens in and to your body. So you cannot ever be unplugged from him." I imagine you would regard this as outrageous, which suggests that something really is wrong with that plausible-sounding argument I mentioned a moment ago." How would you respond? Checkout Koukl's response here.. In this article, Stuart McAllister of Ravi Zacharias International Ministries writes how the book of Ecclesiastes is an essential resource to ponder questions such as: What is the nature of reality? What is it (existence) all about? What is the purpose of life (if any), and to what should we try to give answers? Uncommon Descent is a great place to keep up with all the latest news as it relates to intelligent design, evolution, origins and current events. New Intelligent Design Curriculum: "Discovering Intelligent Design"
This week, my discovery group will be finishing up our study of On Guard, written by William Lane Craig. The last chapter focuses on refuting religious pluralists' objections to Christian particularism. If you do not have access to the book, I recommend the article by Dr. Craig entitled How Can Christ be the Only Way to God? The article can be found here. Brian Auten of Apologetics315 has teamed up with The Powerpoint Apologist and they are offering 12 free powerpoint presentations that will be released monthly. 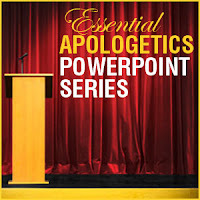 Permission is granted to download, modify and use these for you own apologetics presentations. They do ask that you retain the final two slides that feature the Powerpoint Apologist and Apologetics315. Why Believe Anything? Download here. For more powerpoint presentations from the Powerpoint Apologist, see here. I cannot recommend these excellent presentations enough! For more from Apologetics315, go here. In this featured article, apologist Sean McDowell gives an honest assessment of what the "problem" with apologetics is. This is a great article that should give the reflective apologist pause. For more videos featuring Dr. Craig, see here. Tough Questions Answered is a blog maintained by Bill Pratt. This resource is an excellent place to get clear, concise answers to questions about Christianity and how it interacts with science, philosophy, history and ethics and the articles take no more than 5 minutes to read! Check out Tough Questions Answered here. In this short video (4:51), Professor of Law John Eastman explains where the idea of the "separation of church and state" originated and the effects this view has had in the United States. Truth according to Scripture has made available an online E-book and audio book of C.S. 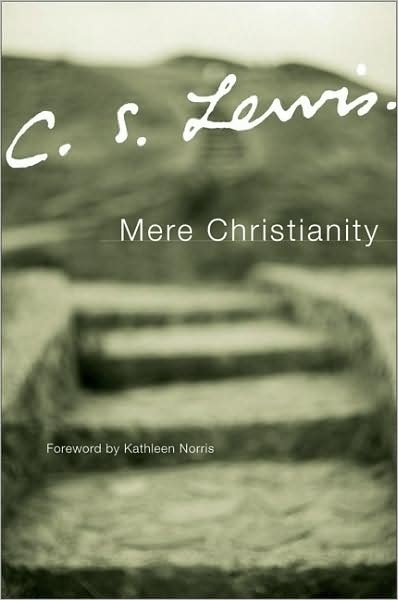 Lewis's classic work Mere Christianity. Also, we have added Mere Christianity to our Free Apologetics E-book Library which can be found here. In this featured article, author and speaker J. Warner Wallace defends the existence of the soul. "This concept of dualism, the recognition of two co-existent realms and realities, is critical to our faith as Christians. If dualism is NOT true (the opposite view is often called ‘monism’ or ‘physicalism’) then there is no realm in which God exists, we have no souls designed for salvation and life with God, and there is no life beyond this one. That’s why the examination of the TRUTH of dualism is so important." Can we prove it (the soul) with science? To checkout more of Wallace's work, go here. Compelling Truth is a ministry of GotQuestions.org that strives to "present the truth of the Christian faith in a compelling, relevant and practical way." Salvation: Is it real?...What's the Truth? You can check out Compelling Truth here. 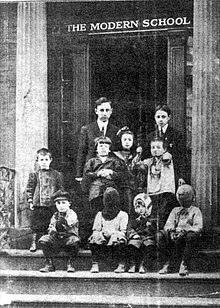 Will Durant stands with his pupils. 1. Will Durant, renowned historian who devoted his life to the study of records of antiquity, Caesar and Christ, in The Story of Civilization, vol. 3, 1944, p. 557. In this featured post, J.W. Wartick contends that what follows from atheism is a meaningless and valueless universe. 1) On materialistic atheism, all we are is matter in motion. You can see how he supports the premises here. Philosopher Dallas Willard died May 8, 2013. I gleamed much from his teachings. He taught me that logical consistency is a significant factor of one's moral character. Moreover, he shared wonderful insights in his work about what it means to be a disciple of Jesus Christ. Finally, and most important of all, he taught me to see Jesus as a logician and "the smartest man who ever lived." While I never had the opportunity to meet him, I am grateful for his ministry and life. Welcome home Dr. Willard! In the above video, Dr. Willard discusses belief in the age of skepticism and the usefulness and danger of doubt in our society. You can find Dr. Willard's work here. You can see his books here. J.P. Moreland reflects on the life of Dr. Willard here. Whether you agree with Ravi Zacharias or not, he is always one to challenge your thinking. Here is a lecture he gave at Princeton University entitled, "Why I'm Not an Atheist." Video: Frank Turek vs. David Silverman Debate: Which offers a better explanation for reality–Theism or Atheism? Christian apologist Frank Turek, author of I Don't Have Enough Faith To Be An Atheist, recently debated atheist spokesman David Silverman, the President of the American Atheists, on the topic- Which offers a better explanation for reality--Theism or Atheism? This debate was held on April 18, 2013 at Broadmoor Baptist Church in Shreveport, LA. Lenny Esposito of Come Reason Ministries recently featured a four part podcast on his blog dealing with popular atheist objections and how to answer them. To subscribe to the Come Reason Podcasts, go here. For more of Dr. Kreeft's work, go here. "If it were true that Christianity and science were incompatible, there would be no Christians who were respected scientists. In fact, about forty percent of professional natural scientists are practicing Christians, and many others are theists of other kinds. Fewer than thirty percent are atheists...in universities, more Christians are found in the natural sciences than in any other fields." 1. Jeffrey Burton Russell, Exposing Myths about Christianity, p. 147, 2012. Sententias is the blog of Max Andrews, who is a philosophy graduate student. "My thesis is on the fine-tuning argument from cosmology and physics in multiverse scenarios. I have lectured in logic, existentialism, metaphysics, epistemology, the philosophy of science, theological liberalism, neo-orthodoxy, personhood, free will and determinism, theological fatalism, axiology, moral argument for the existence of God, various cosmological arguments for the existence of God, fine-tuning argument for the existence of God, and the problem of evil." Max regularly features excellent articles, Q and A questions and general thoughts about the above topics and more. Sam Harris' Equivocation on "The Good"
Sententias is a great place to have your thinking challenged! You can check it out here. Learn to defend the lives of the unborn here. "For you created my inmost being; you knit me together in my mother's womb" [Proverbs 139:13]. In this featured article by Carson Weitnauer of the Reasons for God blog, Weitnauer persuasively deals with modern atheists who have attempted to re-define atheism as simply a "lack of belief in God" and explains what the consequences are for doing so. But if atheism is a lack of belief and not a positive affirmation of what is real, good, and true, then the atheist immediately runs into serious problems." You can find the article here. Wintery Knight also has a great post on this topic that can be found here. In this featured audio, Dr. Craig Keener of Asbury Theological Seminary, provides numerous examples of credible miracle reports from antiquity to the present. He also addresses many of the common objections to miracles. You can listen here. Further, you can checkout Keener's The Credibility of the New Testament Accounts here.